Hi guys. What does the Lost Atlantis have to do with vintage blonde furniture? The story follows. I’m glad to report that my Dad is feeling better and I’m home after 15 days in Arkansas. Dad hasn’t totally recuperated but I felt it was safe to leave him and Mom. My sister and brother are close by and are always checking in with the parents and helping when needed even though they both have full time jobs. I returned home with a piece of furniture that belongs to my Aunt. Aunt Marzee lives across the road (street, for you city people) from my parents. She is my Dad’s sister. The blonde drum table has been hidden under a tablecloth at my Aunt’s house. When we raised the tablecloth to get a peek at the table I started smiling. What a beauty. Not what I expected to see at all. Aunt Marzee sent a Facebook message a few weeks ago that she had a project for me. I admit I get a little nervous when I see messages like that. I mean, you never know. My Aunt and Uncle have owned the table since shortly after their marriage. I did a Google search for similar tables and I think it was manufactured by Mersman in the 1950’s. When deciding on a plan for the table we thought it would look great between the pair of floral print chairs. It’s taller than the round table in the spot now. The blonde finish also matches the light tan color in the chair fabric. 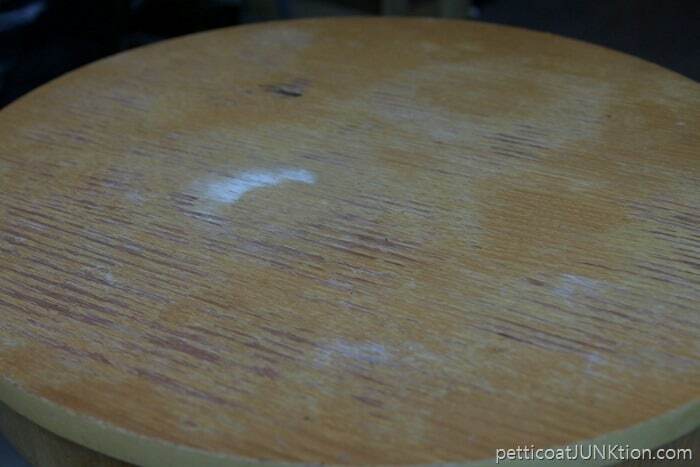 The top of the table is a little rippled and the blonde finish is discolored in places. 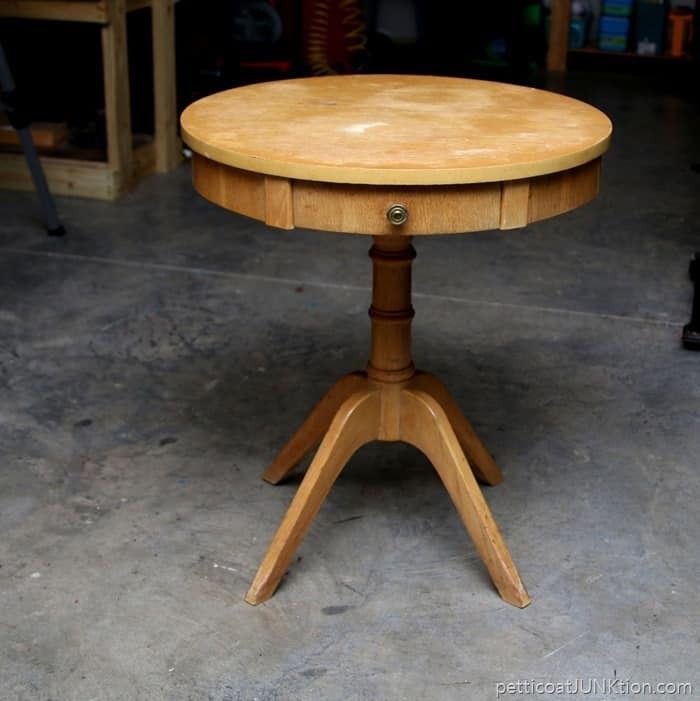 The plan is to sand and paint the table top and clean the pedestal bottom. The blonde finish is so perfect I don’t want to cover it all up. The table is all wood. They don’t make furniture like that anymore. It’s solid too, no wobbles or loose joints. 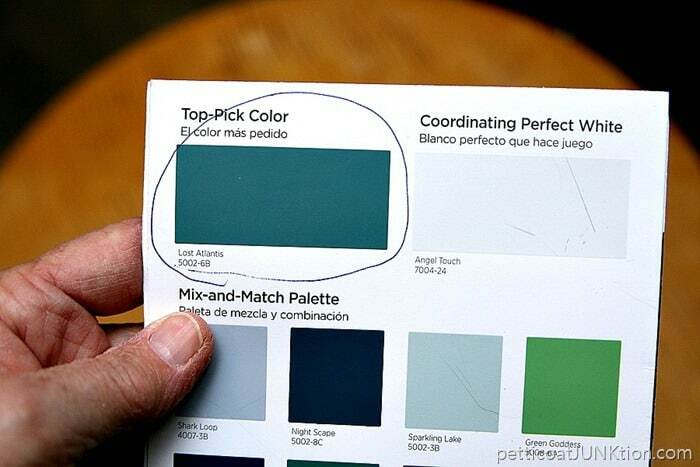 I made a quick trip to Lowe’s and gathered a few paint chips so we could decide on the perfect color. The winner is “Lost Atlantis”, a Valspar paint color. I love the deep turquoise color and the contrast with the blonde wood should be really pretty. I brought the table home with me so I could work on it in the workshop. No rush job! 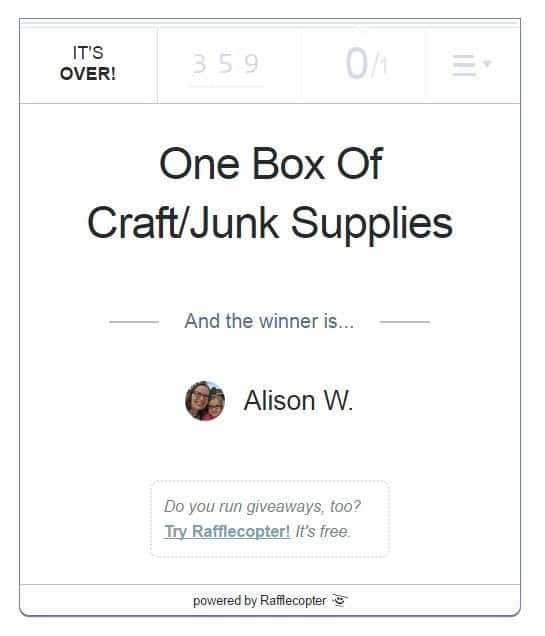 The winner of the February Craft supply box is Alison W. (Rafflecopter doesn’t display the whole name for privacy reasons). 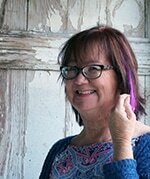 I hope to get the craft box and other shipments out today or tomorrow at the latest. Thank you to everyone for being understanding about the shipping delay. What do you think of the vintage blonde table and the paint color? Have a great day and I’ll see you tomorrow. Glad to hear your Dad is doing better, Kathy. I love the color choice for this drum table, especially paired with those pretty chairs. Can’t wait to see what you do with it. I don’t know, Kathy, I have all kinds of reservations about painting that mid-century modern table. 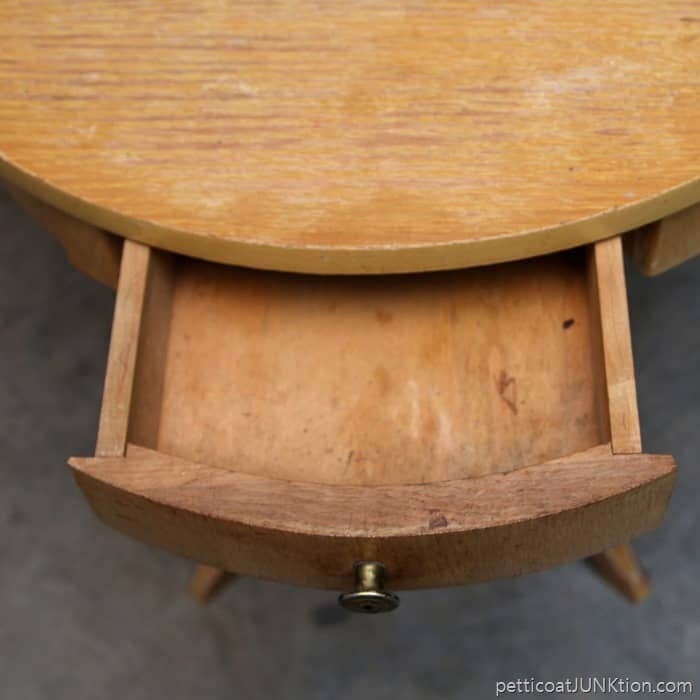 Do you think the top is too damaged to sand and re-finish? I mean, the turquoise color is great with the chairs and all, but I just feel like it’s too valuable a piece to paint. Have you had any of those reservations? Love the color you chose!!!! Glad your dad is doing better. 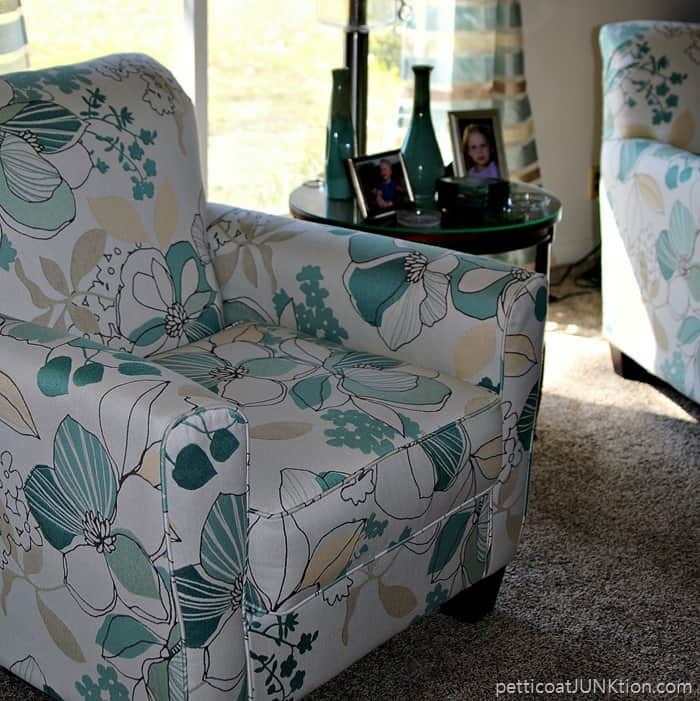 LOVE the chairs and the Lost Atlantis color. 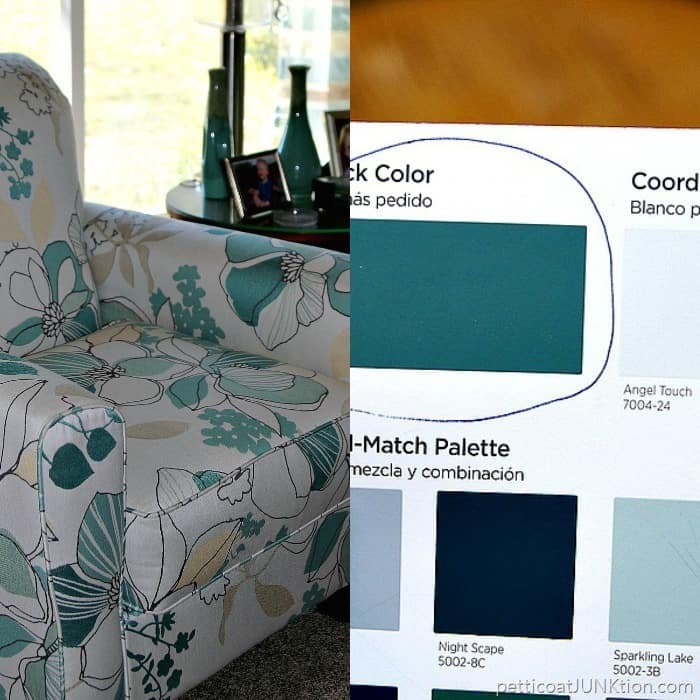 Hoping to find a couch in the same color! Can’t wait to see the grouping together. Did I already say I loved the Lost Atlantis and the chairs?! Beautiful. Haha, yes you did Kellie. I love the color too. I still have to head back to the store and get the paint. Please share the do-over when it is finished! Love the color choice! Love the color choice and the table. It is a perfect candidate for restyling. I’m so glad that your dad is feeling better and that you are back home. That little table is really cute. I know you will do a good job on refreshing it. I hope I do a great job. Not sure how to clean the blond wood finish. I love the chairs so I think you chose the perfect color. Can’t wait to see. The finished makeover. Best of health to all. First I am happy to hear your dad feeling better. Hugs their way. 2ND I think the table will look awesome that color. BTW. LOVE the chairs. Your aunt clearly ‘rocks’ to have chosen those gorgeous chairs & what I can see of the draperies! =) And I LOVE the color you chose for the tabletop! Eager to see the finished table w/those chairs! Bless you for being there for your folks, and pray that your dad will make a full recovery…. Thank you Susan. 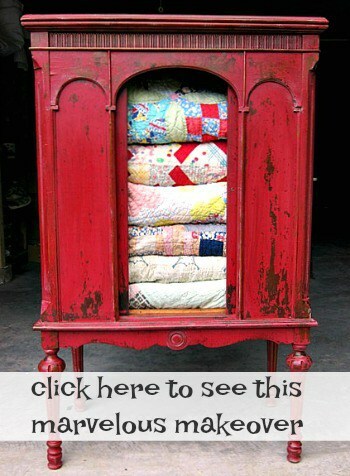 My Aunt always loved to decorate and still does…. even at 81! The chairs are from Ashley by the way. Thank you for the prayers. The chairs are from Ashley. Let’s hope my Dad behaves and takes care of himself. Thanks for the comment. 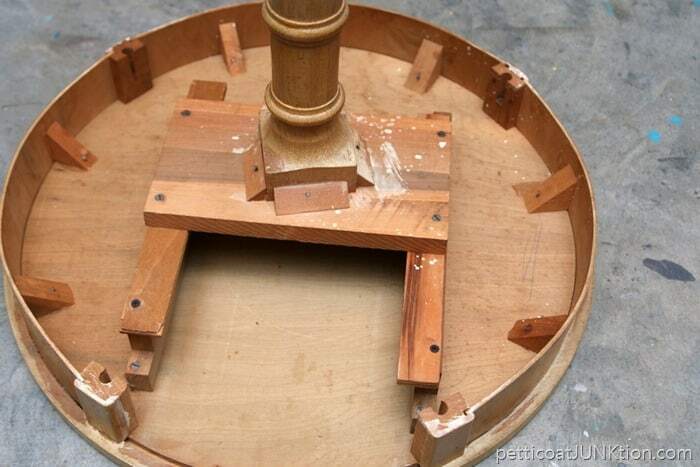 Oh I would love to re-do that table. What a fun project and I think you picked a great color. When I saw the chair I thought a blue would be a good choice too. My dad has the same exact table. Can’t wait to see the finished product.